From the perspective of environmental policy, the transition to a Donald Trump administration bears similarities to the transition from the Carter to the Reagan administrations in 1981. I had the opportunity to witness this first hand as a political appointee in the Carter Department of the Interior. Within days of the election, members of the Reagan transition team appeared in the building. These men were largely from industry and lobbying firms like the American Petroleum Institute and the National Coal Association. Several served in the Nixon and Ford administrations. They were known to us as opponents of programs related to surface mining and endangered species. They were experienced and competent. Even before Nov. 4, as Carter’s prospects for reelection grew weaker due to inflation, economic stagnation and the Iranian hostage crisis, many Schedule C (political) appointees had retreated into the civil service or left for private sector jobs. Once the election results were in, torn career civil servants had to make a choice: finish their pro-environmental work or begin to please their new masters. There was a great flurry to promulgate regulations. Draft programs that had not been perfected were deemed good enough, rushed through the signature process and sent to the Public Printer for the Federal Register. Meanwhile senior career officials whispered to the transition team how easy it would be to withdraw these midnight regulations. Reagan’s new secretary was James Watt, head of the Mountain States Legal Foundation that had opposed many Interior Department programs. Watt brought in political appointees from industry. The Carter appointees were gone but many members of the civil service were considered too pro-environmental. The new team used several techniques to get rid of stubborn ones. Transfers shook out some. They transferred staff in Washington to Pittsburgh and staff in Denver to Casper, Wyo. Difficult cases got the “room treatment.” A career GS-15 would be told, “We are not going to fire you but you won’t be needing your secretary and staff any more since you won’t have your old duties. Just come to work every day and do nothing. You will continue to get your old salary.” Of course, the victim could keep his telephone and copy machine. Otherwise how could he apply for new jobs? Usually the “room treatment” was not necessary. Few government workers wanted to undo their previous efforts. The Reagan administration had difficulty recruiting sub-cabinet officials. These were not the sort of jobs Republicans sought. Furthermore, pay was low by industry standards. James Harris, the nominee for director of the Office of Surface Mining, faced opposition in land deals in Indiana. He was never confirmed and a permanent director wasn’t in place for two years. The situation at the Environmental Protection Agency was similar. Anne Gorsuch was incompetent as a manager. She soon tangled with Democratic-controlled Congressional committees for withholding documents. Moreover, her deputy for Hazardous Waste, Rita LaVelle, misused Super Fund money and served time in prison. In the end, Reagan appointees ran into trouble for issues outside their anti-environmental policies. The public pressured Watt to resign after he described an advisory panel as ideally balanced for including “a black, a woman, two Jews and a cripple.” Gorsuch resigned after Congress voted to hold her in contempt regarding misuse of money and failure to release documents to an investigating committee. Author: Davis held a Schedule C position in the Carter administration and briefly served as Deputy Assistant Secretary for Energy and Minerals. Email him at [email protected]. 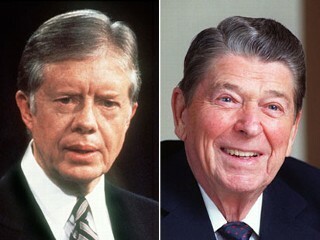 As a young professional, I experienced the Carter-Reagan transition. I would underscore the abuse and ignorance of the Reagan appointees and their “reform” agenda and the same should be expected from the Trump teams. More importantly, the Federal civil service needs a bulletin board,a public chalk board to list the upcoming tsunami of purposeful catastrophes awaiting public purposes and assets, including the Federal work force. Based on my personal experience, we cannot expect the IGs or GAO to investigate and act intelligently and quickly. Who will stand up for honest and efficient civil servants carrying out legally required actions?